Top Gun online slot machine is a popular game developed by Playtech Software. The game is based on the famous late 80s movie Top Gun starring Tom Cruise, where he plays an American Pilot. The movie was created by Tony Scott and has secured Cruise’s fate in Hollywood, following the uproar and success of the movie. The online casino game is more or less an adaptation of the game, and has secured takers, who can relate the game theme with the movie. Playtech has taken an extensive care of focusing on a movie adaptation, which has ensured more number of fan following. The game can be played in various online casinos, which supports games from Playtech. Thus, most of the countries with legal gambling from USA to UK have casinos supporting the game to be played for real money. However to play free Top Gun casino slot machine game, there are certain casinos, who offer the same with minimum slot scoring features. The game contains 5 reels and 15 symbols. Aside this, the game contains 243 winning paylines and the players stand all the chances to win the game. These paylines are not active all the time, while the paid combinations are formed of the same symbols located anywhere in the neighboring reels, starting from the first one in the left. The bet value is always divisible by 25. The coin value of a coin varies from 1 cent to as much as 10 dollars. Thus, this is a way, which can ensure the players to wage as much as 250 dollars per spin. The game has a RTP of 94.93%. The game boasts multi-lingual interface, which is one common property of all Playtech’s games. The control panel is loaded with user friendly features and looks compact. A specific amount of bet can be loaded in the special window. The presence of a turbo mode with spins and the autoplay game features is available along with basic settings. The players can control other external gaming properties such as sound, screen size and other relatable parameters. The game can also be downloaded and start to play the game in a suitable browser to play. Lastly, there is a paytable, which shows four pages with payoff lines and a brief description of the gaming rules. 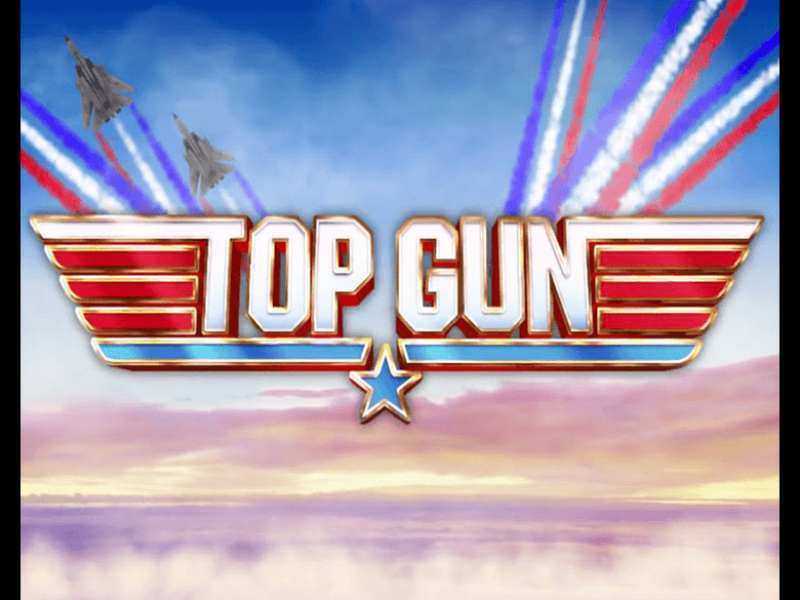 Wild: Wild symbol of the game is the logo of Top Gun. The Wild symbol in the game can form 5 set combinations of itself. But the main property of a Wild in the game is to act as a trump and replace other lower valued symbols. The Dogfight Wild feature has a role involving Wilds. Scatter: It is located on the first, third and fifth reels. When triggered anywhere in these three reels in the same time, a bonus game called Danger Zone Free Games rounds starts. Dogfight Wilds: The Dogfight Wilds rounds gifts as much as 15 extra wilds to appear in the screen during a regular round. These are situated at random locations. The feature is however triggered randomly. Danger Zone Free Games: The round ensures 8 free spins during the casino stakes the same bet instead of the player himself. The Dogfight Wild too works during this round while the free spins are on and the numbers of Wilds are more. Top Gun is a top slot machine game developed by Playtech, and has justified from all the aspects why it has a lot of fanfare across the world. Right from the game theme and extensive scoring features via bonus rounds and symbols, the free playing parties to the real money players have found the right game to play to score big. The graphics and colorful layout backed with some advanced animation effects too adds a feather to the gaming interface. The game can be played in various Playtech software supported online casinos. No downloads or registration are required in most of the casinos and this can be enjoyed by real money players as well as free fun players. The game is available to play in various mobile operating systems, right from iOS to Android to Windows. 0 responses to "Top Gun Slot"